In this world, numerous people came and performed their tasks and passed away. Such as Adolph Hitler, is known for being punctual of his principles and doing cruelty on Jews, Chi Guevara is famous for being a great devotee of human liberty, the Russian socialist leader Lenin is known for his socialist reforms and giving new reformed socialism, and in the pages of Baloch History, Sayyad Zahoor Shah Hashmi is well known as a great linguistic and a Baloch philosopher and we do have many intellectuals around us. Nevertheless, the sole purpose of highlighting certain personalities is to share some words of a female role model of mine ever had, who has a brilliant school of thoughts and attached to a great ideology which distinguishes her from others. An ideal is a person who rules, guides or inspires others in every field of life. In other words, a person who guides others towards their intended goal, showing the way by examples and creating the environment. After evaluating the above mentioned definitions of such an inspiration for the youth of Turbat or Balochistan, I am pretty sure the young female who I am talking of thoroughly fulfils the need of being an ideal. Granaz Baloch belongs to a village in Balochistan, near the Pakistan-Iran border which is Nasirabad. Traditionally, people at Granaz’s village were dependent on farming or income that came from men in the family who had moved to the Middle East as blue-collar workers. However, things have started to change and more and more people are getting education. There are two paths that woman of the area generally take, either they study and get a government job or they continue their education to MPhil or PhD levels. Granaz Baloch, on the other hand ended up going in a completely different direction, since being well-educated from different institutions in abroad, and along this she has full commitment to break the chain of slavery of Baloch females who are bound in four walls at their respective homes. It is true where there is non-stopping struggle there is success and where there is success there position may exist as for the betterment of something it is an urgent need of heartfelt devotion, unbreakable struggle and earnest efforts as Granaz has had her efforts to bring a huge change around her. In addition, being the only daughter of her parents along with four beloved brothers, has being trying her utmost from dawn to dusk and experiencing multiple things in which she had gotten a scholarship for the first time in USA Yes programme, she had learned a lot from Americans within one year. 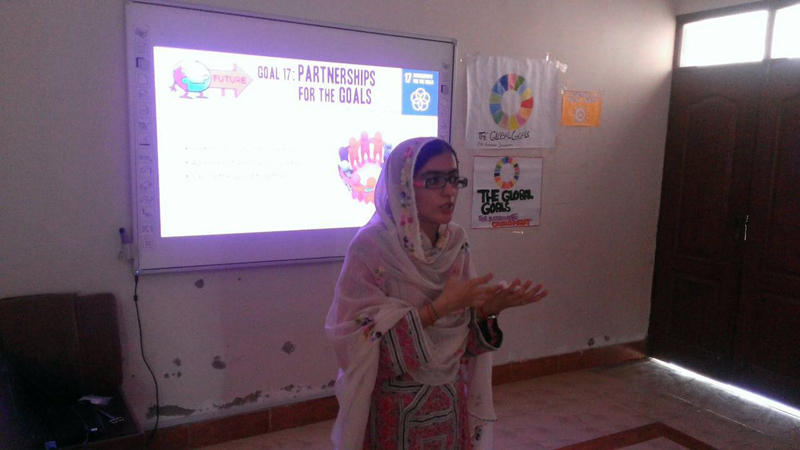 Even she has visited Australia, Canada and attended different sorts of entrepreneurship programmes in Pakistan. Granaz Baloch who has the heartfelt devotion for every individual to be facilitated and not be dependent on others.